I think it’s appropriate that my first post of 2015 should be a tribute to Heather Crosby’s lovely cookbook, YumUniverse. 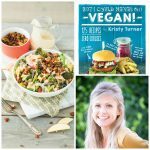 I’m sure that most of my readers are quite familiar with Heather and her work; her website is a veritable treasure trove of plant-based recipes, and it’s also a fabulous source of information for the plant-based newbie (everything from stocking your pantry to sprouting 101). 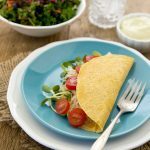 Heather’s passion and willingness to roll up her sleeves and help the aspiring vegetable eater get started truly sets her blog apart, and now that same spirit animates her collection of recipes. While the recipes are truly enticing, however, I’m even more impressed by the time and care that Heather has put into her introductory chapters, which will walk you through everything you could possibly need to know about outfitting a vegan (or vegan-leaning) kitchen, mastering techniques, and familiarizing yourself with ingredients. The book is incredibly comprehensive, and no detail is left behind. It’s also full of useful, everyday meal planning strategies, including tips on how to compose an on-the-go salad or breakfast, tips on freezing fruits and veggies, and (my favorite!) a whole array of sandwich/toast ideas. Once again: yum. 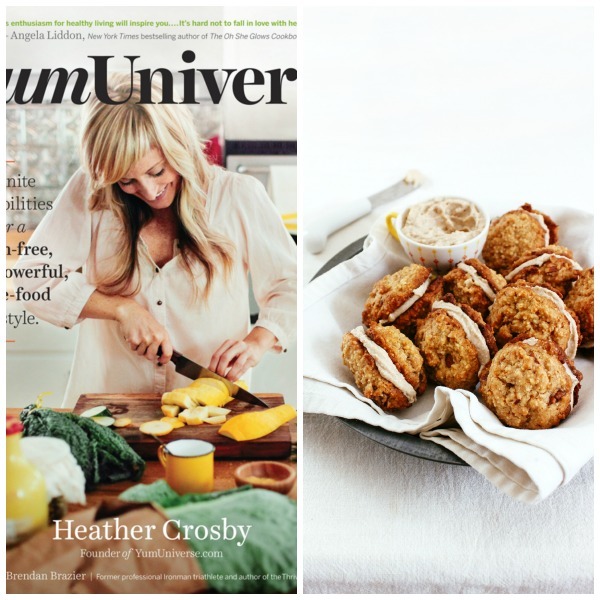 I wanted to share a recipe from the book that seems to capture Heather’s creativity, playfulness, and her combination of health-savvy and taste-oriented. How could I resist introducing you all to her amazing maple spice sandwich cream cookies? These guys are so fantastic; the spiced cashew cream filling is dessert enough, but when sandwiched between two tender-yet-crispy cookies, it’s heaven. Preheat oven to 325°F and line a baking sheet with parchment paper. Blend together all Spiced Cream ingredients until smooth and pop in the fridge to chill for 2–4 hours. In a medium-sized bowl, whisk or blend together all wet ingredients and set aside. In a large bowl, sift together dry ingredients. Fold wet ingredients into dry, and then add fold-ins. Bake 10–12 minutes. Remove from oven and cool on baking sheet. Transfer to fridge to chill. Remove Spiced Cream from fridge and spread some on one cooled cookie. Close with another. Repeat until all cookies are made into magical sandwiches. psst! 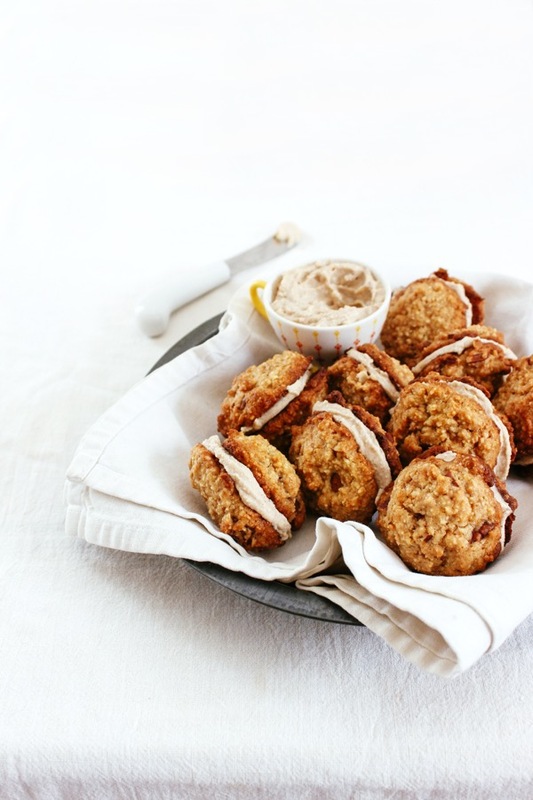 You can skip the Spiced Cream and just make oatmeal cookies here. Try adding the spice from the cream into the batter first or adding ¼ cup raisins. At this time of year, I know that a lot of my readers are considering dietary changes. If you’ve been thinking about going vegan (or more vegan), then I can assure you that YumUniverse is as useful and practical a guidebook as it is a feast for the eyes and tastebuds. I’d love for one of my readers to be gifted with this wonderful cookbook, so enter below to win one free copy (US and Canada only, please). It’s my last night here in Vieques, and while I do look forward to seeing my beloved NYC again (late) tomorrow night, I’m awfully sad to be leaving such a beautiful place. I’ll be back in my usual routine on Sunday with weekend reading. Till then, have a wonderful weekend. What a yummy-looking recipe! Safe travels to you! The Easy Vanilla Bean Ice Cream sounds great! I’d love to try that Buffalo Roasted Cauliflower recipe! The buffalo roasted cauliflower sounds amazing! I have been hearing a lot of great things about chicory root lately, so I’d love to try to the Maca & Chicory Root Latte! I am always eager to add quick and delicious ice cream treats to my file! I want to try her mung bean power pancakes with spicy kimchi. It’s been a while since I’ve made my own kimchi. I’m a dessert girl but some of the less sweet recipes (like the pot pies) sound incredible! 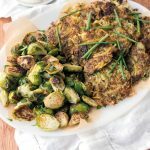 Shredded Brussels Sprouts & Kale with Miso Dijon Sauce sounds delicious!! How can I chose just one! I’m excited by the whole book! But if I had to choose … it would be Creamy Broccoli & Red Pepper Macaroni. You had me at the Maple Spice Sandwich Cream Cookies. And the Roasted Butternut Squash Soup! The Vanilla Bean Icecream! And I would put some of the hot fudge sauce on top! Yum Universe sounds like an absolute winner of a book! Can’t wait to make the Maple Spice cookies! Wishing you a safe trip back to NYC. This recipe looks delicious, can’t wait to try! I’m excited to try Heather’s recipe for Goji Chia Chocolate Crunch Bars. I would love to try the vanilla ice cream. Yum! Super veggie pot pies sound really nice! The pretty pretty pie crust sounds interesting! You had me at spiced cashew cream. Thank you for sharing this recipe! I’m most excited to try the super veggie pot pies! Wow, do these sound yummy! Would love to win this cookbook. The veggie pot pies sound great! These look so yummy! I’m thinking of just doing the oatmeal cookie version. Sounds perfect with a cup of tea on this incredibly raw day! The creamy broccoli and red pepper macaroni sounds delicious! My parents love chicken pot pie, so I would love to try this super veggie pot pie recipe to introduce them to a healthier alternative! The maca and chicory latte sounds amazing, and I can’t wait to make these cookies – they look delicious! I’d love to make the salted caramel sauce! I hope you have a safe trip back home! The macaroni! Anything creamy is a winner! That Brussels sprout recipe with miso sauce sounds amazing. 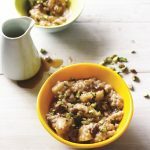 Miso is one of my favorite favors, so I’d love to see how Heather puts it together with kale and Brussels sprouts. I would definitely love to try the buffalo cauliflower! The mini pot pies sound delightful! Thanks for the chance to win. Heather’s blog turned me on to using chicory root tea as a healthy and caffeine free substitute for coffee. I love it! All of her recipes look so yummy, especially the sweet treats. Gotta try these maple spice cookies! Do I really HAVE to choose between Buffalo Roasted Cauliflower, Shredded Brussels Sprouts & Kale with Miso Dijon Sauce and Sweet Potato Sauce? Cause they all sound DELICIOUS! Butternut squash soup sounds amazing! I’m excited to try the salted caramel sauce. I am developing a recipe myself and I was looking for a vegan caramel sauce recipe. This should do nicely. Welcome home, Gena! So really enjoyed your New Years musings and reflections, particularly about loosening food while on travel (I read this while doing the same in paris so it was particularly well timed for me!). Vieques is on my bucket list, glad you loved it! This post got me thinking – would you consider doing a round up of your favorite and most inspiring blogs and websites – the ones you mine for weekend reading, links, recipes, health articles, etc? You often link to sites I’ve never heard of, and I bet I’m not alone as a reader who would love an updated roundup of your very favorites that we might be able to bookmark and read as well. Just a Thiught! The probiotic almond yogurt on her website looks awesome! vanilla bean ice cream sounds amazing! The macs and chicory root latte sound amazing!! For some reason, the sauces have caught my eye – specifically the Sweet potato sauce and the Salted caramel sauce. 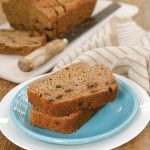 I love baking and would love to be able to share these with my family and friends who still have a hard time believing tasty treats can be good for you too! Individual Super-Veggie Pot Pies sound great. I love pot pies and can eat them all winter. I love any kind of roasted cauliflower! Would love to win Heather’s book. I am excited to make these cookies as my kids love all things Maple! Maybe I will make them for their nordic team to fuel their race (if we can get ourselves to share ;-)! These look pretty awesome! I probably will try it next week for my husband “lunch cookies” (yes, I make a batch of cookies every week for my husband’s lunches) They look not too sweet which is part of the reason why I bake cookies for my husband, heck he thinks snickerdoodles are too sweet, well, at least for lunch time. Those cookies look amazing. Thank you so much for sharing. I for one, had not heard of the website and am enjoying checking it out now. I want to try the broccoli and red pepper macaroni! After seeing this recipe I have to say I’m most excited to try the maple cream sandwich cookies but the maca and chicory root latte sounds amazing too! The Super-Veggie Pot pies are calling my name! I would love to try this cookie recipe! I want to try those Maple Spice cookies and individual pot pies! Though the cookies look great, I would love to try the Pot Pies. Any of her salads or desserts! Roasted Butternut Squash Soup sounds delicious. Looks like lots of good recipes. The veggie pot pie sounds yummy! Those ice cream sammiches look killer, but I’ve been DYING for salted caramel so badly so that sauce would remedy so much desire that my body has been bottling up. Yup, all the unhealthy stuff! The individual pot pies sound fabulous, but these cookies you posted look amazing…hard decisions!